February | 2014 | Oh Happy Dae! Coming from the grand old state of Wisconsin, I’ve had many chances to “enjoy” the winter weather. I say “enjoy” because I honestly really dislike winter. However, if there’s one winter activity I like it’s skiing and snowboarding. Actually, I’m pretty crummy at snowboarding since I just tried it for the first time last year, but it’s still fun. 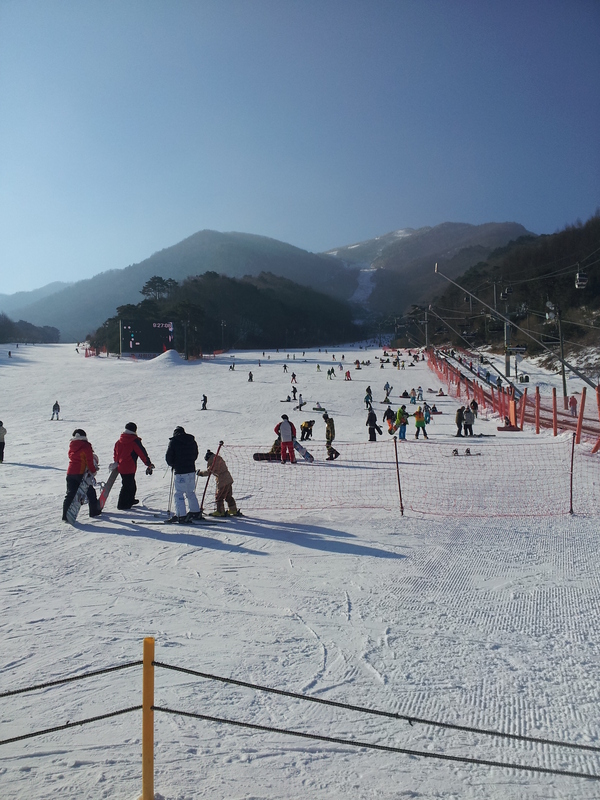 I had the chance to ski yesterday with friends at Muju Ski Resort. Muju is roughly 1 1/2 hours from Daejeon. You can get buses that’ll go from different parts of the city right up to the resort. We left at the wonderful time of 6:30 AM from Chungnam University. 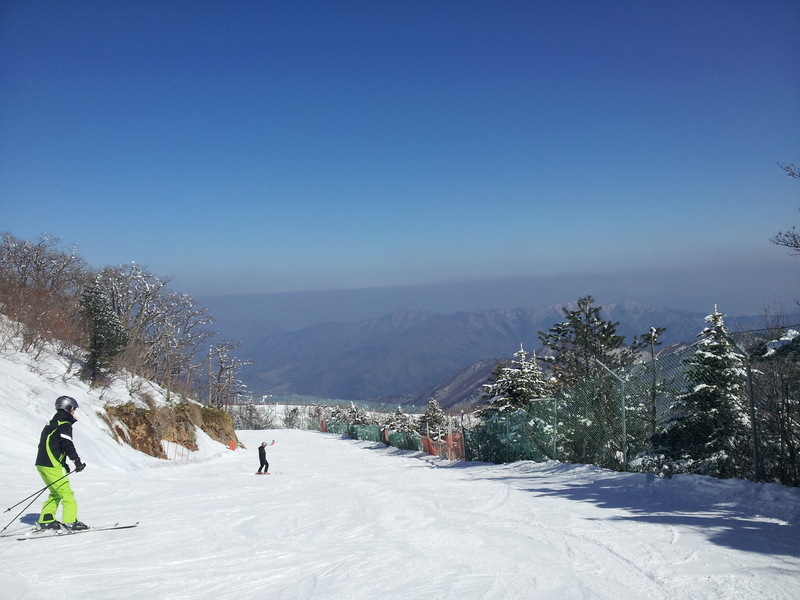 I go recommend going early so that you can get in as much time of the slopes as possible. Unless you go during the week, there will be long lines to deal with on the weekend which really cuts into your total time. Rental rates depend on how long you’ll be there. It’ll be roughly 30-38,000 won if you’ll be spending most of the day there. 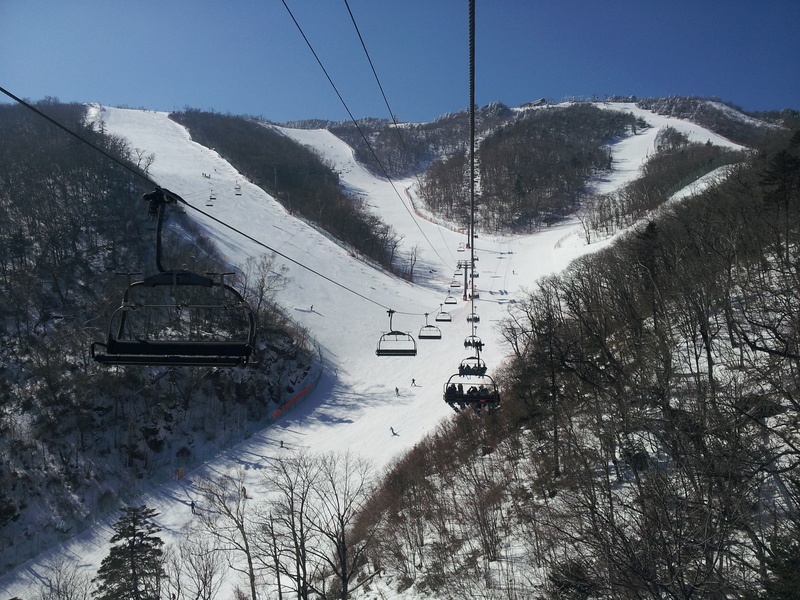 The lift ticket is around 70,000 won. My friend booked yesterday’s trip though, and we only paid 80,000 won total (lift, rental, and bus). That leads me to believe that there are trip packages with good deals so you’ll have to ask around. I’m no expert on such things, but I thought Muju had decent conditions. We hadn’t had much snow so it was the fake stuff. 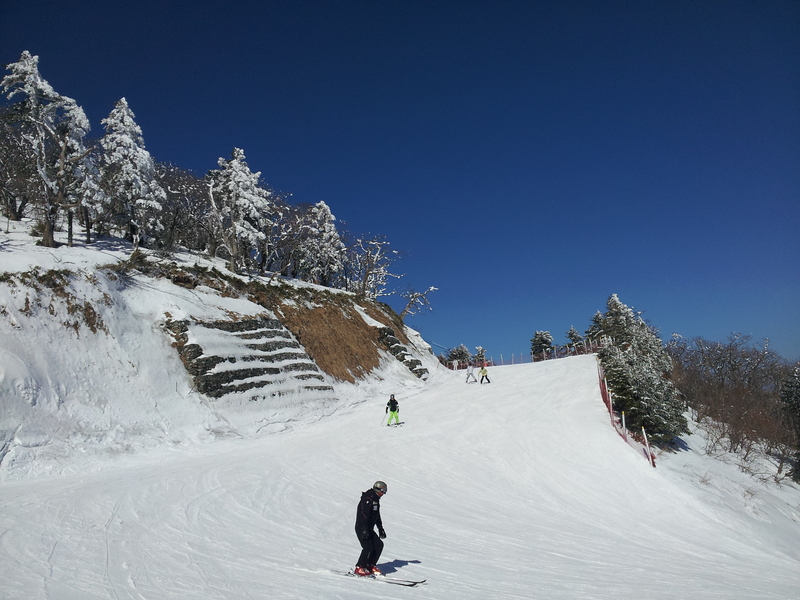 There are several slopes ranging from beginner to advanced. I was generally on the intermediate all day since I haven’t skied in many, many years. There were gorgeous views at the top! There’s actually a gondola that goes up because there are lots of hikers that go to the enjoy the views as well. The weather was just perfect. Look how clear and blue the sky is! When you need a snack break too there are a few choices for you. 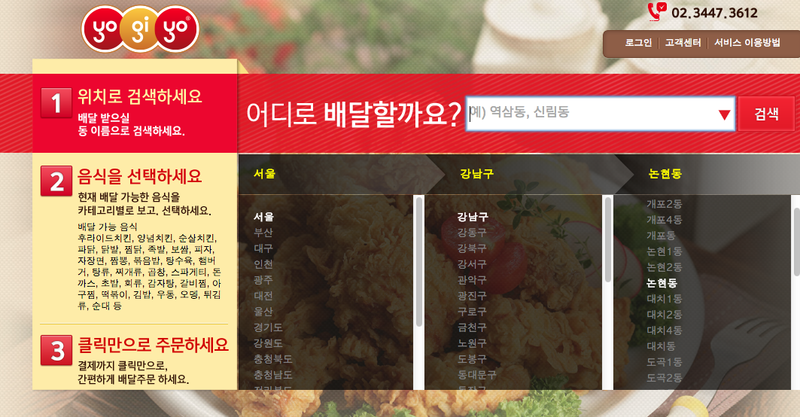 We all pretty much ended up eating at Popeye’s, but there’s your typical Korean food, (donkatsu, galbitang, etc. 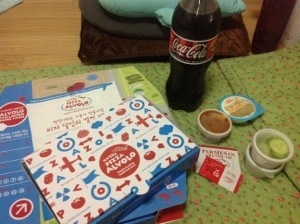 ), Dominos, and a couple others. There’s even a GS25 at the very top of the slopes in case you’re a bit peckish after that long lift ride up. They usually run out of cup ramen pretty fast though, so grab it while you can. Besides all that there are lockers on hand for you to store your stuff that’ll cost 1,000 won. You can also rent clothes (coat and/or ski pants) if you don’t have the proper gear. I highly recommend buying proper ski gloves and goggles before you come. They are much more pricer at the ski shop. I ended up having to get goggles there last year and they were over 40,000 won I think. You could probably get a decent pair at Home Plus or off of Gmarket for between 20-30,000 won. They also provide lessons for an extra fee, but please note these are taught in Korean only. If you have some experienced, patient friends on-hand I would say ask them for help instead. If you wanna check it out you can look over at the Muju Resort website. Cola flavor Cheetos taste test! Today I decided to give cola flavored Cheetos a try. 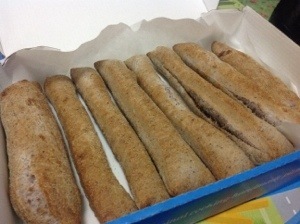 Korea has a lot of interesting snacks to try. I’d seen these Cheetos on the shelf before, but I couldn’t bring myself to try them. I wondered if they were the same one that MyArgonauts Jason had reviewed, and that I later tasted in Japan. Yep they were. I can’t say these are the tastiest snack I’ve ever had. For one thing they are sweet. Cheetos shouldn’t be sweet! Then there’s the cola flavor which is just plain odd. I didn’t really feel like finishing the bag. They’re more of a “I dare you to eat that” kind of snack. I say keep the Cheetos and Pepsi separate. And for the love of God someone please bring plain old cheesey Cheetos to Korea. I would be ever so grateful.